A new version of ssdtPRGen (v12.0) with multi-processor support is now available from my Github repository. It should just work, but you are warned: Didn’t have a lot of time to work on it and I also don’t have all sorts of different configurations to test the script on. I guess that it where you come in handy. Thank you for testing this update! A show piece. A replica of something that my wife had seen somewhere on the Internet. 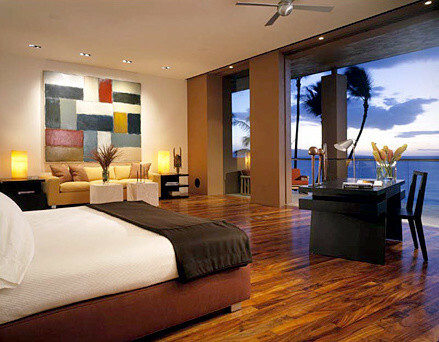 Mind blowing expensive, but why would anyone reject something like that – a master bedroom with a view to kill? Nope. Not going to happen after having slept in a caravan for a couple of months. By the way. There will be only one room in our home that will be even more expensive. Our kitchen. Sorry guys. Nothing to show you yet. Just an empty void. Nothing to see there. Kitchen is ordered but it is late. Like everything else in Spain. Except for a truckload of palm trees, that were delivered eight weeks too early. Oh well. Better early than never. Which appears to happen also lately, and since I already paid them in full (with some of my Bitcoins) to help them survive the winter months, I guess we’ll have a garden before a spare bedroom for guests… guess what our caravan will be used for next week. After that it is up for sale so anyone looking for a Dethleffs Beduin 550/250 with Isabella Ambassador (dark red) and Bolon carpet (5000 Euro) can contact me per e-mail. Sold! This script was originally developed by Samantha but I have added a couple of improvements myself. Give it a go and let me know what you think of it. Thanks to omni for reminding me about this patch – I knew that I had seen it before, and skimming through some of Samantha’s blog articles helped me to locate it. A painful reminder about the loss of a talented girl. We miss you little sis. Very much indeed! Apple seeded a fourth test build of OS X 10.9.2 (13C53) to registered Mac developers, available through the Software Update mechanism in the Mac App Store as well as through the Mac Dev Center. Please note that I may not share direct links to unreleased Apple software here so you will have to search for “OSXUpdCombo10.9.2.pkg” with help of the above link. This new repository should help me to commit changes more easily, without forcing me to first finish other unrelated changes. And that I take things seriously can be seen here. I mean this particular piece of code was added for one person (Fabio) so when something doesn’t work for your setup, then please contact me per e-mail (see script) or file a bug report here. Give the new update (version 9.4) a run on your setup and like I said. Please report new bugs via e-mail or link I proved above.